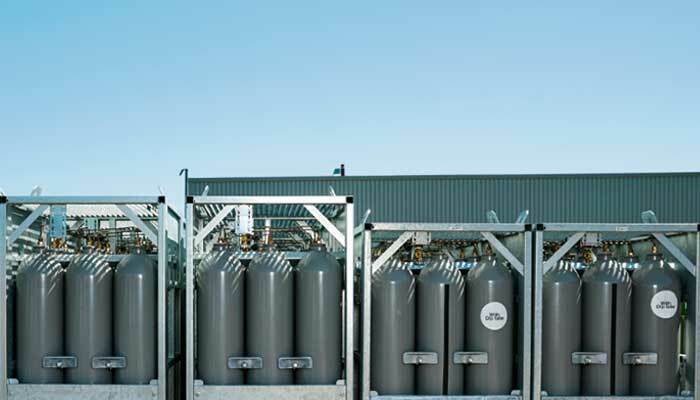 This option allows you to avoid time-consuming handling while optimally ensuring longer-term gas supply. Here at BUSE, though, we take things one step further. With our unique 9× 80-liter bundle, we have set the bar even higher. It offers better value and is even more environmentally friendly. Because at Buse, we are never satisfied with “good enough”. All of the bundle/cylinders packs are delivered with a pressure of 200 or 300 bar. Tell us what you are looking for. We make sure that you get it.